“We are being removed and dispersed from our own area, and the cheap restaurants we are going will be replaced by gastro pubs and very expensive eating places,” says Martin. Over the last 24 years, the East London resident has seen his neighborhood undergo dramatic changes. 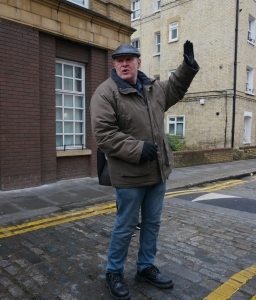 He has watched the residential area which has long been home for British working-class people, immigrants from Bangladeshi, Somalia, Ireland and Eastern Europe at different time periods shrinking slowly as luxury property developers and investors gentrify the historic working class neighbourhood. 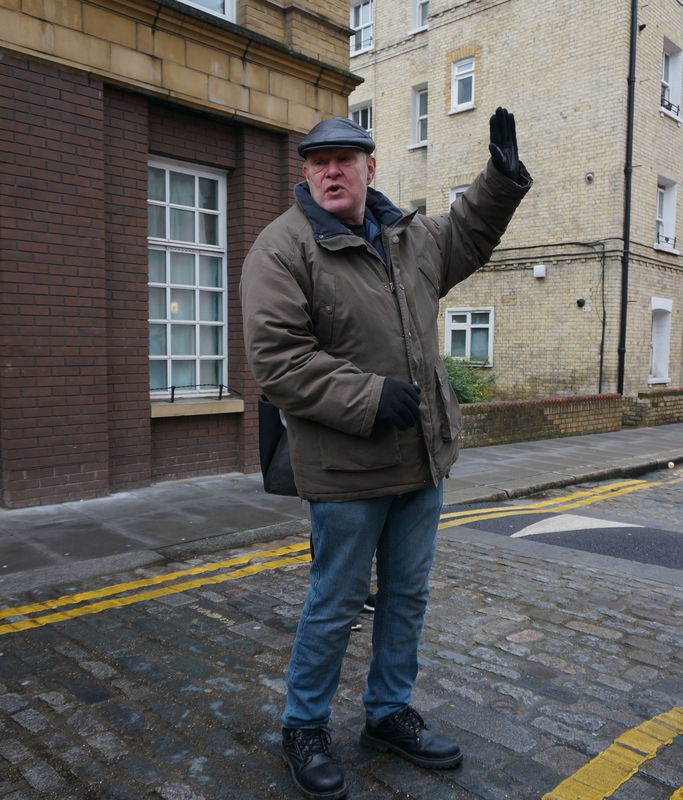 The area from the junction of Whitechapel High Street and Commercial Street toward Leman Street represents the London’s fast-paced gentrification that is pushing old tenants out of the city and segregation that divides the rich and the poor. Here, luxury flats have been erected or are being built replacing old commercial and residential brick buildings since five or six years ago. The 21-story residential building right above Aldgate Station is known for having two entrances for private tenants and social housing tenants. The big front gate for private tenants boasts the glass façade through which passersby can have a glimpse of the spacious hotel-style lobby with an old underground tube train sitting as a décor. Meanwhile, the small “poor door” on the back side of the building only offers access to tenants living on the social housing floor. The separate entry was reported by The Guardian newspaper in 2014 as a sign of growing segregation amid the city’s gentrification trend. According to Bloomberg, London has seen the city’s real estate values surging, which has consequently drawn investors, including wealthy foreigners looking for investment opportunities. About 70 percent of commercial real estate in central London was purchased by non-UK residents in 2015. More foreign buyers took part in the property buying spree after the Brexit vote in 2016 that caused pounds fall. “People from far east like China, Malaysia and countries in South America that are newly industrializing have a vast amount of money, but they have nowhere to put the money because of insecurity of their own economies, so they invest them over here,” Martin said. What’s striking is some of the newly built luxury apartments remain empty. Few residents walk around the Leman Street contrary to what the property marketing boards show – an idealized neighborhood with young white professionals walking around offered with “with 24-hour concierge service” and “fitness suite.” The computer-generated pictures on the boards don’t contain images of the elderly or people of diverse ethnicities. Lisa McKenzie, convenor of Class, Politics and Culture and ethnographer who’s been researching the East London area for years, called the area with “important symbolic sociological story.” She witnessed a symbolic class divide due to the hyper-gentrification in Goodman’s Fields, the small piazza with six stallion sculptures, surrounded by luxury flats built by Berkeley Group, the UK’s major property developer. She’s expected to publish a book on the area.